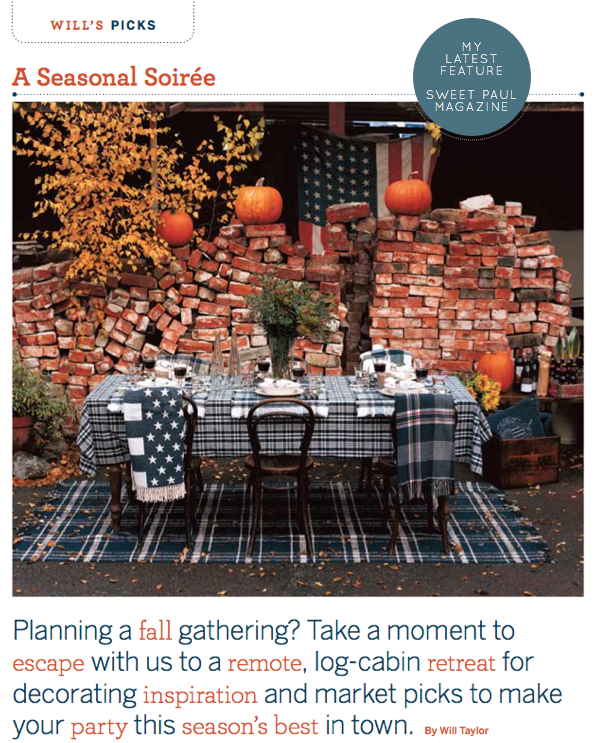 The fall issue of Sweet Paul magazine has gone live just this second and it includes my latest 'Will's Picks' feature, which provides ideas and inspirations for throwing a fabulous party this season. 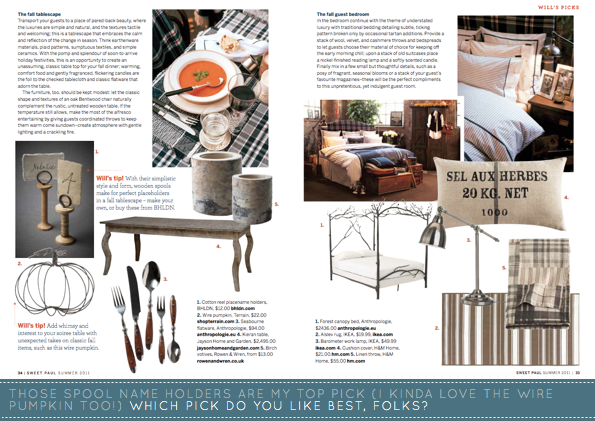 From laying the perfect fall table to creating a sanctuary for your guests to stay in, the piece is brimming with tempting market picks to help recreate the cosy autumnal looks. To read the feature in full, head over to Sweet Paul. I love Sweet Paul, what a great pairing. Can't wait to read the new mag! Oh how fun! You did a spectacular job! I need to check out this Sweet Paul. LOVE LOVE LOVE the plaid! You are oh-so talented Mr. Will! Congratulations! Looks great! Well done, Will! As per usual. ;) Congrats you talented bloke! I have been hanging for the mag to go live. Am off to soak up the Sweet Paul Autumn goodness right now. Looking forward to seeing your picks in more details. Congrats on the feature Will, it looks great! Ack, I ADORE Sweet Paul! I didn't know the fall issue was out already. I must run off and check it out. i LOVE LOVE LOVE this magazine ~ i wish your issues came out more frequently! !